Manchester United managed to somehow get back into the match after trailing by two goals nine minutes into the clash at Old Trafford. Newcastle stunned them early on, but could not salvage at least a point from this match, as Man United rallied back in the last 20 minutes to claim important three points. Yesterday we talked about the things we learned from this match, but today we will be looking into more detail at statistics surrounding this match and what they tell us. Analysing is crucial, especially after such a crazy game in which United looked lost for the bigger part of it. There was a lot of negative talk surrounding Nemanja Matic recently. People started pointing out he was slow and sloppy in possession, he was not sending incisive passes from deep etc. But, what people missed the opportunity to do is point out Nemanja Matic is not Andrea Pirlo nor is he Chelsea’s Jorginho. That should not be his job. At West Ham, Matic had almost 95 passes, by far the most passes for United. No wonder United did not do well creatively. Matic should be playing more as a box to box midfielder than as a deep sitting midfielder. Against Newcastle he had 77 passes, but only 27 of them were completed in the second half. That was United realized he should not be their main player when starting attacks and that was when both Matic and Man United prospered. Matic’s form has not been perfect, but that could be said for the whole team. Mourinho needs to use Matic in a role he is suited to, which is something he has been missing to do with plenty of other Man United players. If you look at Man United’s xG against Newcastle, it is at 2.39, according to Understat. Slight overperformance was expected, having in mind United were underperforming slightly in previous matches, so that is just getting into the line right now. 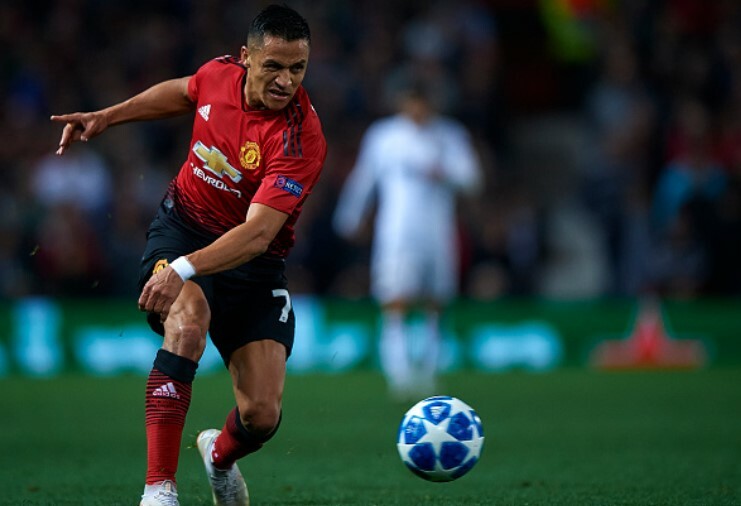 What is striking is that from the five best chances United had in this match – according to xG numbers – United scored from only one of them, Alexis Sanchez’s winner. There is nothing wrong with Martial’s high quality goal from a low quality chance – he is a quality player who is able converting such shots. And there is certainly nothing wrong with Juan Mata scoring from a long range free-kick – we have seen him do that before and we knew he was able of pulling that off. What should be improved is those three or four chances that were statistically better than Sanchez’s winning goal. Two of those came through Rashford’s shots and he should have done better in those situations. The win was great, but Man United’s defence was still shambolic. That first half was defensively one of the worst in recent memory. Individual mistakes led to Newcastle getting two early goals through Kenedy and Muto. What was also bad was that United continued giving up a lot of shots from inside of the box. There were eight shots Newcastle made from inside of the box and four of them came from less than 12 yards. De Gea’s six saves helped a lot, but United need to fix these problems soon, especially when tougher oppositions arrive.